I love myself some Phoebe Snow. This fabulous singer is a legend in her own right. From her hit "Poetry Man," "Teach Me," and "Harpo's Blues," we've all come to love Ms. Phoebe Snow. Sadly on this Day in 2011, Ms. Snow went to the great Heavenly home to reunite with her daughter Valerie. 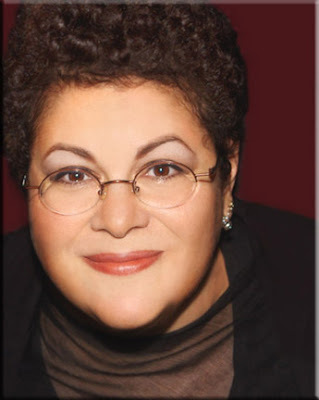 I discovered Phoebe Snow when I watched Patrik Ian Polk's "Noah's Arc: Jumping the Broom." She was the bar singer as well as the wedding singer. She sang what is now one of my favorite songs "Something Real." Get into "Something Real" below. I love a time where it is just me and the universe. I call it "ME TIME!!!!" It is something that I have very much needed within these last couple weeks. Since my break up, I have really not wanting to do a whole lot of thinking, but I've been keeping myself busy and occupied. Disclaimer: The Entries in this Blog are Strictly My Opinions. If You are offended then please exit this page. Thank you, Musique's Poetry. What can I say about Momma Chanel? She has so much wisdom and knowledge to share with us. Momma Chanel has so much inner beauty and it shows whenever she posts on Facebook or whenever she posts a video to youtube. In a recent video, Momma Chanel let's us know that "The Eye Only Sees What the Mind is Prepared to Comprehend." Here Momma Chanel motivates us to be our best and be who we are despite what people say and she also gives us tidbits concerning constructive criticism. Get into the video below. What is an Old Soul? An Old Soul is a young person who not necessarily acts like an old person, but they love music that people in the previous or older generation would love. I am an old soul. As I write this blog, I am listening to some Patti LaBelle, old and new stuff, I have also listened to the late Sylvester James, The Weather Girls, Black Box, Motown, and some Rev. Thomas A. Dorsey, The Caravans, The Davis Sisters, and many other "old school" artists. I always had a more mature stance when it came to certain things such as television music, my personality, and how I carry myself. Although I am a gorgeous 26, I still have sort of an old spirit. It shows in my wisdom and the things that I do and refuse to do. I'm not ashamed to be an old soul. I live for Pastor Donte Jones of God Environment. He is one of a kind. In a recent video he teaches us how to tell a story. Get into the video below. It will give you life.